Curtain Call is a new series of articles on Backlog Adventures taking a look at the finales of the most popular shows of the last twenty years. In addition to asking if a finale works as a conclusion to the series, we’ll be looking at the mystique and emotional manipulation that comes along with the concept of a series finale, and if the finale in question ultimately serves the greater good of its show’s legacy. I’ve never seen a community turn so sour than the minutes preceding How I Met Your Mother’s 2014 finale. The ninth and final season of the perennial CBS hit was a divisive topic of conversation in social media and the show’s Reddit subthread. News broke late in the eighth season that the cast was asking for a Friends-esque payday to return for another season and fans were left wondering what stories were left to tell, outside of the obvious one in the show’s title. All of this led to a final season that is almost a bottle episode in nature: An entire 20+ episode season focused on the three-day weekend of Barney and Robin’s wedding. At first glance the concept is equal parts intrigue and disaster, with my initial thoughts at the time asking how they’d fill so many episodes without resorting to outright filler content. In this respect I give the show runners credit: How I Met Your Mother was a series that leveraged continuity and history with intelligence and wit, something not often found in the modern sitcom. This might be due to the fact that Ted’s story — and the story he tells throughout the series — is all about fondly looking back on the past and reveling in the sanctity of personal stories and in-jokes. In that regard, season nine’s biggest strength is filling episodes that don’t push the main plot with more backstory set in the past and even more call-backs to beloved characters, jokes, and moments. Season nine is a fine collection of episodes, but ultimately suffers from a lot of wasted time and potential. I’d be more willing to forgive How I Met Your Mother for so much wasted screen time if it isn’t for the fact that the two-part finale is a constant, stinging reminder of the filler that came before. By far the best thing about the final season and HIMYM’s finale is Ted’s future wife, brought to life by the charming and brilliant Cristin Milloti. The constant worry throughout the series was that The Mother would be a hollow, one-off scene, or worse: stunt casting with a famous actress. I have to imagine that the plans for the mother were a carousel of changes, given that the show almost ended more than a few times, with initial plans for Sarah Chalke’s Stella to end up as the titular character. As these things go, plans change and feelings evolve as a show is given time to hang around just a little too long. I will paraphrase Harvey Dent from The Dark Knight: You either die a beloved show or live long enough to see your show become a twisted vision of what it should be. Firefly will always be loved because the show wasn’t given a chance to spurn viewers, while shows such as Dexter and Buffy the Vampire Slayer (more the former than the latter) went on past their creative expiration dates, twisting and decaying into something unrecognizable as the original show. I mention all of this because The Mother should have been the ‘jumping the shark’ moment; a much-hyped and already beloved character brought in to solve everyone’s problems and be perfect, all without earning the trust of the viewer. Somehow, beyond expectations, The Mother avoids this ‘Mary Sue-esque’ ending, becoming the best thing about the last season and the finale. Tracy is the core strength and weakness of the last season, as so much of the plot hinges on her, yet viewers know so little and see hardly any of her. Much of this is fixed with the Tracy-centric episode How Your Mother Met Me, giving Tracy the background and pathos she deserves, as well as charming me for eternity with her rendition of La Vie En Rose. Yet, the biggest misstep of the last season — minus a few touching and well-done fast forward scenes where Ted and Tracy’s life are fleshed out — is that The Mother is largely absent. She’s always floating in the periphery of the plot, but never steps up and becomes a fully-formed character in the same way as the main cast. Which leaves the finale to do most of the heavy lifting, crushing those last two episode’s ability to give everyone the send-off deserved. The finale’s worst mistake is that the Ted we see in most of the finale is not the same character throughout the series. This post-Tracy, self-assured Ted is one who is less character and more flawless, ‘happily ever after’. The Ted present for the last season is still a conflicted individual who has mostly given up, ready for a new start and learning from his past, haphazard mistakes. This is to say that in the finale Ted has no central conflict to work out, despite being at the core of the episode. The viewer knows how his story turns out — minus one thing, which we’ll get to — and instead opts for this weird post-script where we see each of the main characters slowly fade into the background. Showing the main cast through the following years in and of itself isn’t a bad plot device, but it literally serves as a reminder that season nine was a waste of time as they slide Robin and Barney’s divorce into play. I wish part one of the finale had actually been the first episode of the season, setting up that the end-result of wedding weekend was always going to be divorce and hurt feelings. Instead, the show spends 20+ episodes telling a specific story, only to dump out the baby with the bath water and show that nobody has learned anything in the process. Robin and Barney are back to square one, Marshall and Lily never truly resolve their own issues in a realistic way, and Ted is sort of just “there”, happily awaiting for Tracy to die of White Lady Disease in a voiceless montage with minutes to go in the finale. Actually: Let’s stop and talk about that. The thing most people know about the How I Met Your Mother finale is that The Mother dies in a rather underwhelming way, just before Ted’s kids tell him that “six years is long enough” and that he should ask out Robin. After rewatching the entire series again recently, I see that the eventual Robin/Ted connection is far more seeded and present than I thought at the time of the finale. That said, the move still rings hollow, with Tracy becoming nothing more than just another girl in Ted’s life that pushed the plot of him ending up with Robin forward. This result was unavoidable, and stems from the show’s insistence that history and continuity stands tall above all rational storytelling. When the series first began the creators filmed footage for what they wanted the finale to be, which includes the weird, stilted footage of Ted and Tracy’s kids telling Ted that he should move on. This means that the Robin/Ted angle was always the final play. This is a problem because as the show matured and progressed a number of holes get blown in the Ted and Robin relationship, making it hard to believe that they’re supposed to be destined for one another somehow. Telling a story about how Ted became the man he needed to be for Tracy is one thing, but is then thrown to the side at the last minute so that the show could book-end with Robin still feels hollow and short-sighted, even upon multiple viewings. The fact that Tracy dies the way she does sends mixed signals, giving the impression that the story was never really about Tracy and Ted, and she was no better to the plot than Victoria, Stella, Zoey, or even Jeanette. Tracy was just another lesson Ted apparently needed to learn so that he could end up with Robin. In light of Tracy being such an awesome character, this entire arc falls apart, leaving viewers such as myself feeling as if season nine was a waste of time, telling a story that didn’t need told. But, hey: At least the wedding was nice, right? How I Met Your Mother is tough to watch now, knowing so many of the set-ups, inside jokes, and hallowed memorable moments are all in service of a finale that falls flat. That said, I don’t feel like the final season or the finale fails as a summation of the parts that made up How I Met Your Mother. As I’ve grown older I relate more and more to the finale’s message that memories are something to hold on to, but not something to live within. The scene where Ted and Tracy worry that they know each other’s stories is something that rings true to my own marriage, but is something that, in my opinion, should be celebrated. We all grow old, move on, and learn more about life as we go. Never should anyone mourn the lost days of youth, because it was better to have them at all than to never experience them in the first place. That is the ultimate legacy of How I Met Your Mother and the finale: Our lives are a series of tales and moments, but they are not what define us as people. I don’t think that HIMYM suffers from lasting too long and decaying into something unrecognizable from the original vision, but I can’t help but think that the show does a disservice to fans with an ending that feels more like fan fiction than an actual conclusion. Want to discuss this topic? Disagree? Leave a comment and let’s talk. Otherwise: Join us next time on Curtain Call, when we take a look at Dexter: Portrait of a Lumberjack. 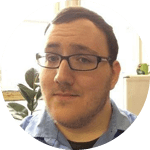 Will is a freelance writer and reporter in Austin, Texas that has appeared in Unwinnable Magazine, VideoGameWriters, and Venture Beat. He is also the gaming critic for the Toledo Blade, a daily newspaper in Toledo, Ohio and a staff writer for Curse and Twitch’s Gamepedia. His wife and two cats keep him sane above all else. Thank you for this well-written article on the HIMYM Finale, a subject I have thought way too much about the last few years. In my opinion, there were all kinds of problems with the HIMYM Finale. But to keep what will be a relatively long comment from turning into a 100 page essay, I will deal with just a few of the problems below. Even with Ted and Tracy in silhouette, anyone familiar with the last episode of HIMYM immediately knows that this drawing represents. 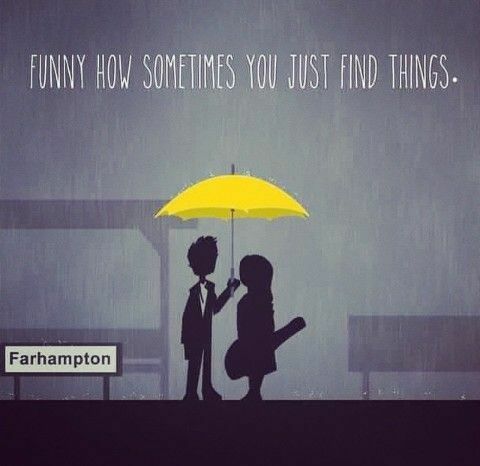 Even if the quote, the Farhampton sign and the shelter in the background were not there, people would still immediately know what this scene represents. However, the power of this scene is damaged by the fact that it is immediately followed by the Ted telling the audience that Tracy died and the kids telling Ted to go after Aunt Robin. If HIMYM had ended on that scene with a voiceover from Ted “And that is how I met your mother,” HIMYM would have been considered to have had one of the greatest series endings of all time, despite the many problems with Season 9 and the Finale. I think the biggest problems with the Finale started with the decision by B&T before Season 6 to have Barney and Robin get married. I think this decision not only ended up making B&T’s planned Ted-Robin endgame unsatisfying for many fans, but also ended up hurting Seasons 6-9 of HIMYM. With respect to the Finale, I think this decision was a disaster, because the most logical way to have B&T’s planned Ted-Robin endgame (Tracy dies, the kids tell Ted to call Aunt Robin, and Ted and Robin end up together) work was to have the last seasons of HIMYM be about Robin falling in love with Ted. For example, imagine that in Seasons 6, 7, 8 and 9 the audience sees that Ted and Robin grow into people that belong together and that in the Finale, we see Robin ready to tell Ted she loves him, right before Ted meets Tracy, dashing Robin’s hopes (somewhat similar to how Ted meeting Victoria dashes Robin’s hopes in Season 1 when she shows up to the wedding too late). Further imagine that in the Finale, Robin is shown being a great friend to Ted, Tracy and their family before Tracy gets sick, through Tracy’s illness and after Tracy’s death. Now when the kids tell Ted that he should be with Robin, the kids are merely confirming what the audience already knows (which would completely remove the “ick” factor from the dialogue between Ted and his kids in the actual Finale). In fact, I would argue that unless the audience is in full agreement with what the kids say before they say it, the “ick” factor in their dialogue with Ted was destined to ruin the Finale for many fans. With respect to Seasons 6-9, the decision to have Barney marry Robin also was a disaster. One reason it was a disaster for Seasons 6-9 was that the Barney-Robin relationship totally destroyed Robin as a character. This not only made the audience not want a Ted-Robin endgame, but, because Bays and Thomas planned on a Ted-Robin endgame, also affected who Ted could have as a girlfriend in Seasons 6-9. From B&T’s standpoint for the Ted-Robin endgame to work, none of Ted’s girlfriends in these later seasons could ever look as good for Ted as Robin. Furthermore, as Robin deteriorated as a character, the “ceiling” on Ted’s girlfriends became every lower. No more Stella or Season 1 Victoria who each looked like they might be a viable wife for Ted. Instead Ted would have relationships with women such as: Zoey, Season 8 Victoria and Janeane, none of whom were even close to being potential wife for Ted. In particular, I think the comparison of Season 8 Victoria to Season 1 Victoria shows how much Robin’s character had deteriorated by Season 8 and how nervous B&T were about having one of Ted’s later girlfriends outshine Robin; had Ted been dating Season 1 Victoria in Season 8 it would have only highlighted why the Ted-Robin as an endgame made no sense. So Victoria’s character also had to be destroyed in Season 8 making here a pale imitation of Season 1 Victoria. In addition, Ted being restricted as to who he could date put unnecessary restrictions on the storylines of Seasons 6-9. For example, imagine a running storyline in one of these seasons being Ted dating someone who would seem perfect to the Ted of Season 1, but who Ted breaks up with, because he realizes that he has grown as a person since Season 1. This would also be consistent with the theme of the series that Ted needed to grow into the man who could meet the mother. Furthermore, because of the Barney-Robin relationship, the set-up for the Ted-Robin endgame is mainly driven by Ted’s periodic pining for Robin which makes Ted look increasingly pathetic, desperate and borderline villainous (Villainous? Consider that at the end of Season 8 and the beginning of Season 9 Ted appears to consider breaking up Barney’s and Robin’s wedding by finding Robin’s locket, even though he is the best man). Although “future Ted” talks about how he grew into the man who could meet the mother, to the audience, Ted appears to become a weaker character in later seasons. For example, compare Ted’s character in the episode “Ted Mosby” in Season 1 to any version of Ted in Seasons 7, 8 and 9 and it is clear how much Ted’s character has degraded. However, Josh Radnor and possibly B&T seemed to be oblivious to this having happened. For example, in a podcast interview after the Finale, Josh Radnor made a comment about his speech to Janeane about love on the bridge in Central Park in Season 9 in which he said that when he read the speech, he thought it was more about obsession than love, but that he trusted by Carter and Craig knew what they were doing. So, even Josh Radnor did not seem to realize that this speech was not the first time that Ted had appeared to the audience as being “obsessive” instead of “romantic” with respect to Robin in Seasons 7, 8 and 9. I agree with your statement: “As I’ve grown older I relate more and more to the finale’s message that memories are something to hold on to, but not something to live within.” But I think that the Finale, not to mention almost all of Season 9, is such a mess that for me this message gets lost in the shuffle. You hit on a lot of things here that I would have liked to cover but ran out of time, but you’re right on a lot of things. I really hope that one day there’s an oral history or tell all about how the seasons of HIMYM progressed and the issues they ran into during production in the late seasons. Thank you very much for taking the time to respond. Great perspective, all around.